Since 2000, only two clubs have won the Coupe de France, Bourges Basket and USVO. 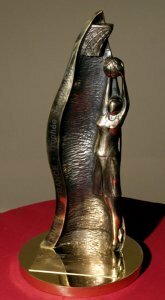 This dominance of the Joë Jaunay trophy has finally come to an end with Lattes Montpellier and USO Mondeville qualifying for the 2011 final. Bourges Basket failed to qualify for the final four the first time since 2004 after losing at home in overtime to Mondeville (79-85). Arras also failed to qualify despite playing at home by conceding defeat to Montpellier (54-61). USO Mondeville have won the French Cup once in their history in 1999. Their last appearance in the final was in 2004 when they were beaten by USVO. For Lattes Montpellier this is the first time that they will play in a French cup final. Look back on the news from the previous round. USO Mondeville hit 16 consecutive free throws which included 9 during overtime. The only free throw missed came at the end of the game. Bourges Basket scored 17 times from the charity stripes but missed 9 other attempts and ended up losing the match by 6 points. Bourges Basket dominated the first ten minutes of the game and appeared to be cruising to victory leading (30-16). However Mondeville managed to stop the leakage and reduced their deficit slightly going into the interval (37-46). Then Mondeville turned the game upside-down during the third quarter with a 17-0 run (54-48) that silenced the home fans. Aurélie Bonnan (left) and Valeriya Berezhynska kept pounding away in the paint as Mondeville went into the fourth quarter ahead (58-51). Mondeville stretched their advantage to 11 points with less than five minutes to play. 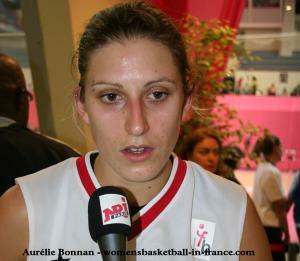 Cathy Joens and Paoline Salagnac went on the war path for Bourges. With 20 seconds left to play Bourges were back in front (70-68). Anne-Sophie Pagnier sent the game into overtime with a shot from just behind the free-throw line. Mondeville's coolness from the charity stripes did the rest during overtime as they held on to win (85-79). Lattes Montpellier needed overtime to book their first ticket to Paris Bercy. 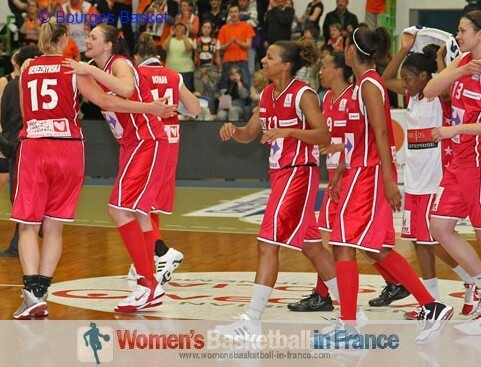 Gaëlle Skrela's (left) three-point play with 15 seconds to play saved Montpellier from defeat by sending the game into overtime (51-51). Skrela scored five of her team's 10 overtime points and also blocked Sarah Michel as she paced her side to victory. After the match Valéry Demory, the coach from Montpellier, said "That is two matches that we have won in overtime, they want to kill me. Now I have no reason to tell them them off for not having confidence in themselves. Arras played well and more or less had control of the game but lost their way in the last three minutes. This is a first for the club and it will be just as hard to beat Mondeville as it is to win against Bourges. Bruno Blier, who will leave his job as coach from Arras at the end of the season, concluded that the defeat was down to lack of maturity at key moments and not killing the game off when they had the chance. Lattes Montpellier will meet USO Mondeville in the Coupe de France final on Sunday, 15 May 2011.